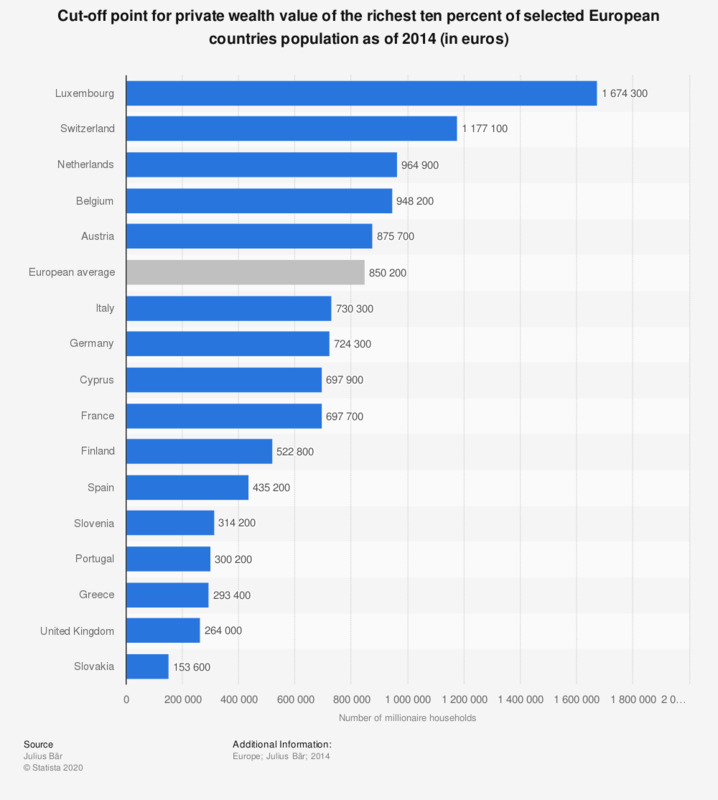 The statistic displays the minimum threshold of wealth owned by the population in selected European countries in order to be selected into the richest ten percent as of 2014. For instance, in Luxembourg, the top richest one percent of the population started at 1.67 million euros in 2014. In comparison, in Slovakia, the cut-off point was at 153.6 thousand euros in the same year.